Hello to one and all. This is Arjun Singh from Mysore, India. 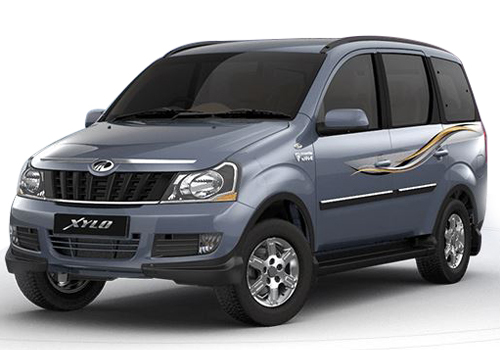 I have recently purchased the all Mahindra Xylo D2 BS III from and I’m very happy with its performance. I have always been obsessed with the XUVs and MPVs and always wanted to own one. The style and class of a big car is unmatchable and cannot be compared. The price of the car if compared to the qualities it has and also compared to the other XUVs and MPVs is very moderate and I didn’t have to give it a second thought when the question of buying it came. The car has a very bold and classy look and the style it offers is just amazing. The interiors of the car are very well designed. The cabin of the car is very classy and elegant. The desktop is very beautifully designed. The interior is very spacious and extremely comfortable. Once you get into the car you get to know that the car is amazingly comfortable and spacious and is very suitable if one has a large family and even a large group of friends. Even if you are in a habit of going on long journeys and trips and holidays, this car is a treat for you. The engine of the car is rather a powerful one which is 2489 cc. the power steering of the car is another blessing. It is amazingly smooth and makes the drive a cake-walk. The power steering is also adjustable. The car apart from its good looks and style and the power of its engine and performance is very fuel efficient which I think is its best quality. The car gives a very decent mileage of 12 kmpl in the city and 15 kmpl on highway which I think is more than satisfactory. There is only one thing missing in this car and that is the airbags for the driver’s as well as the passenger’s safety. After being blessed with so many good qualities I feel there must no quality lacking but I think I can do without it by driving safely. Otherwise, the car is just an amazing one and I just love it.